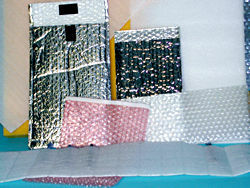 PCI can provide you with a wide variety of lightweight, low cost protective packaging options. 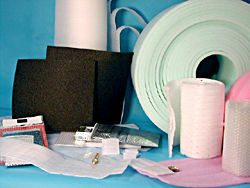 We convert PE forms, microfoam, bubble, urethanes and laminates into a wide array of protective packaging solutions. They can be sheeted, perfed rolls, slit, rewound to smaller rolls, pouched, die cut into shapes, made into tubes or shrouds and other ideas your or our imagination can discover. No minimums for any stocked product. Most products can be sheeted, no size limit restrictions. Perfs from 1" to 999"